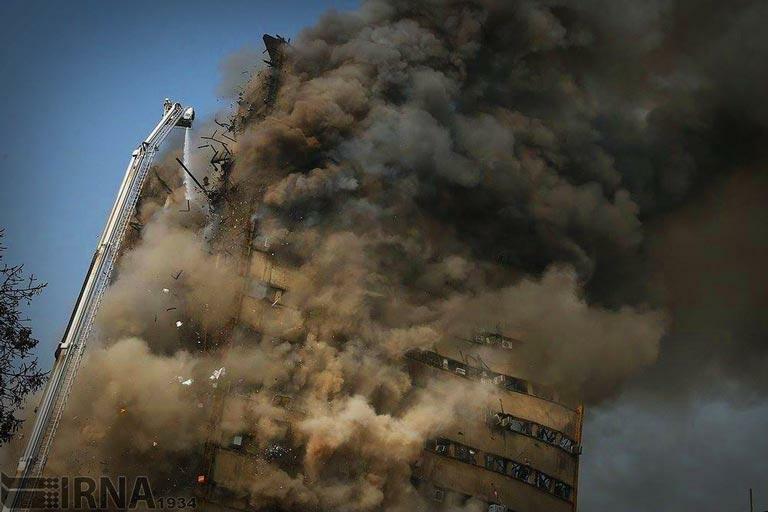 Plasco Building Demolition Evidence of Israel’s Control of Iran? 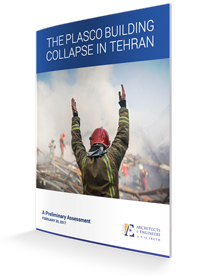 Why ‘Demolition Deniers’ Are Obsessed with the Plasco Building Demolition in Tehran. Remarkable similarities to 9/11 False Flag including MOLTEN STEEL, witness explosions ignored by corrupt investigators similar to NIST. Iranian investigators attack Ted Walter and AE911truth as a controversial “conspiracy” organization. When Will The World Notice? The focus of Weinberg’s article was the response of Architects & Engineers for 9/11 Truth (AE911Truth) — the organization I work for — to the destruction of Tehran’s first-ever, iconic high-rise. 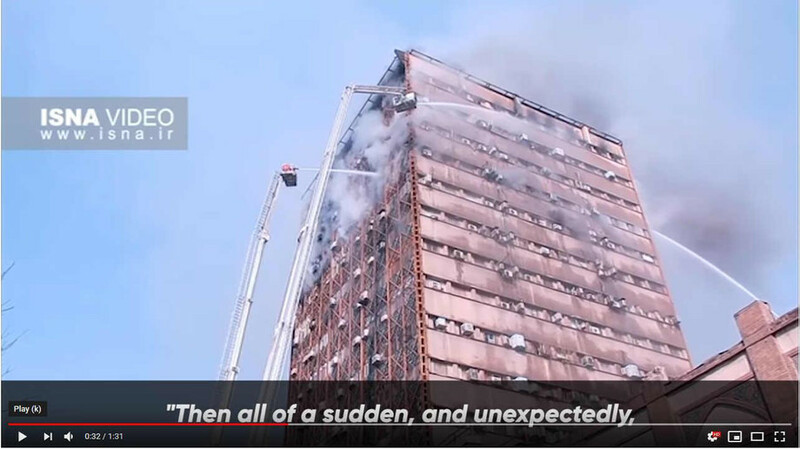 At around 8:00 AM that day, the upper floors caught fire and burned for a little over three hours before a series of explosions rocked the building. 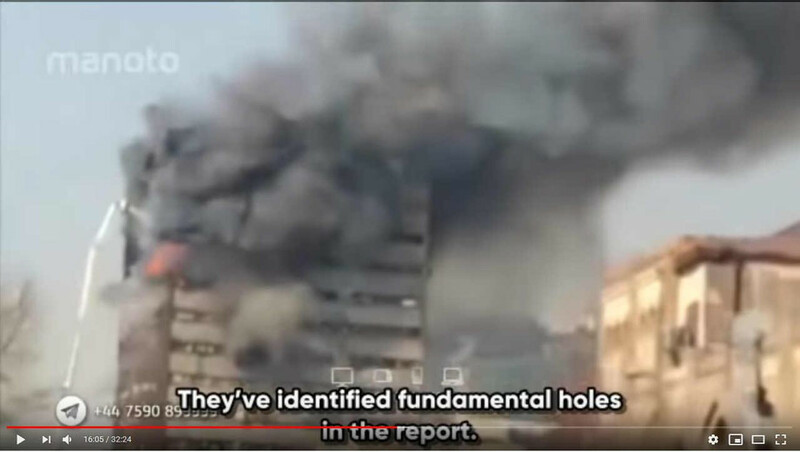 The structure then completely collapsed to the ground, tragically claiming the lives of sixteen firefighters and six civilians.